Lowndes County is named for William Lowndes, who was a United Stares Congressman from South Carolina. Description: The building faces west and is a two story white colored stuccoed brick and wood structure. 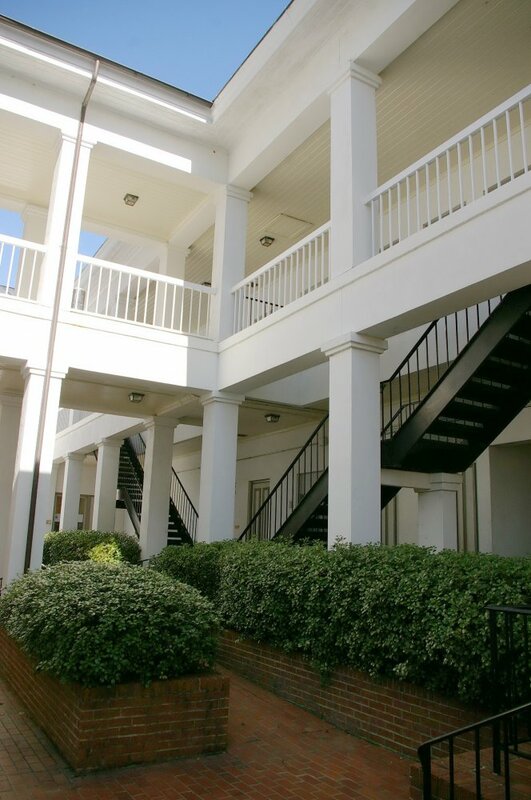 The building is located on spacious landscaped grounds with the town square on the west side. 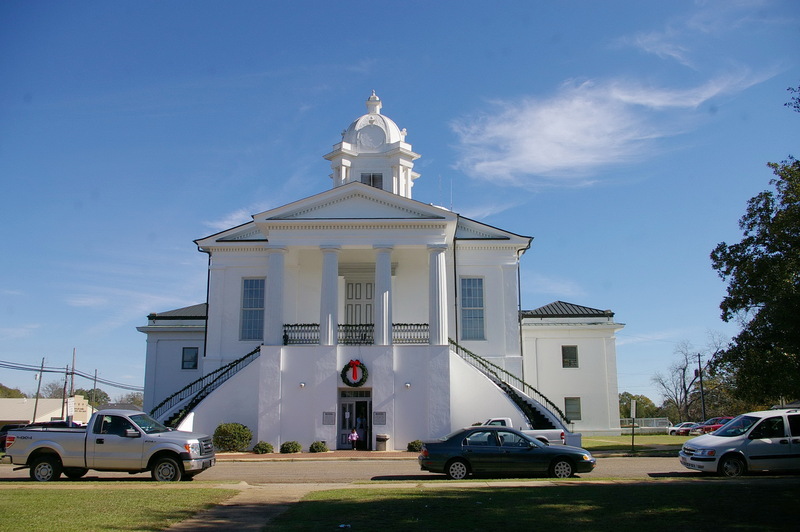 The west front has a projecting portico with central arched entrance on the first story, dual staircases rising to the second story and four white colored columns rising on the second story to a pediment at the roof line. 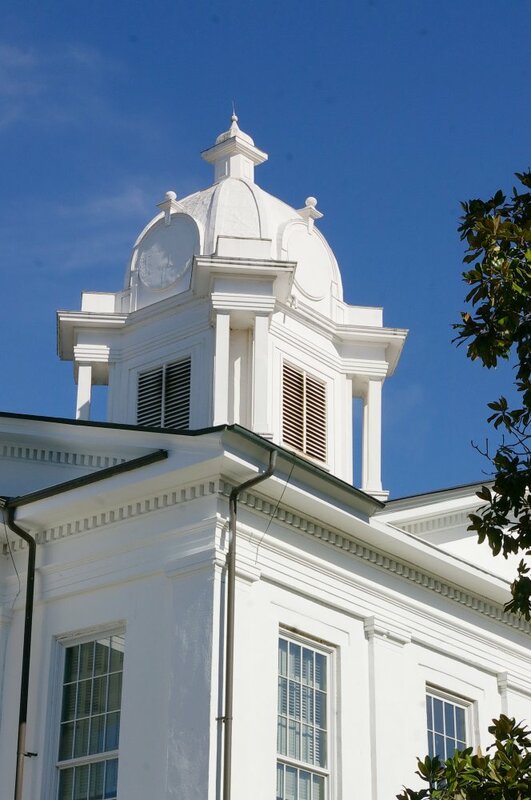 The roof is hipped with a large square white colored cupola with white colored dome. 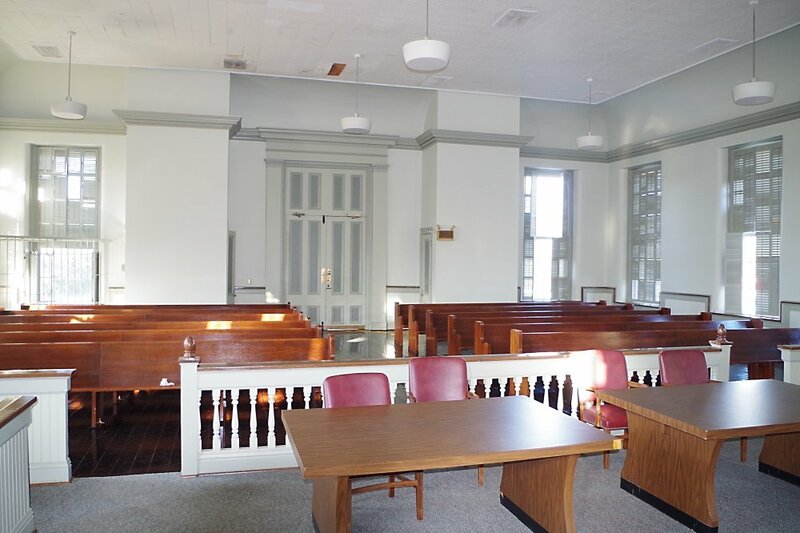 The large courtroom occupies the second story. 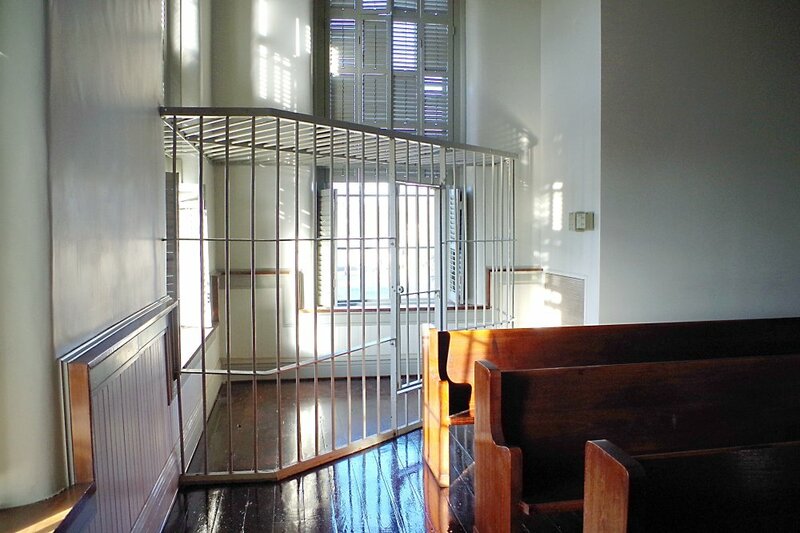 The courtroom contains the only iron prisoner cell in Alabama. 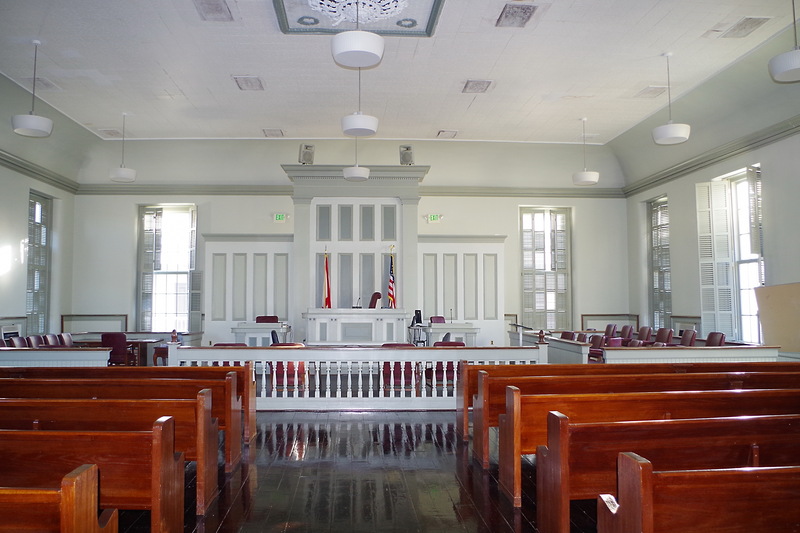 The courtroom is has bridge on the east side connecting to the “U” shaped Annex. 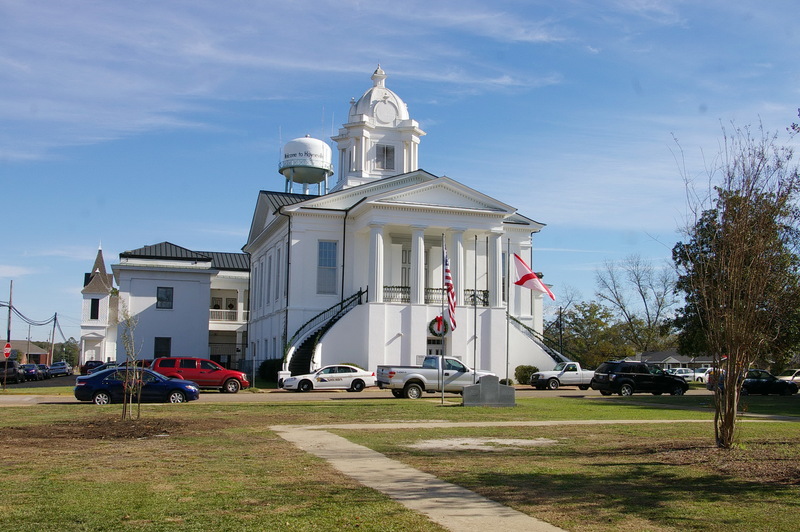 The building was remodeled in 1905 when the domed cupola was added and two wings were constructed on the east side of the building. 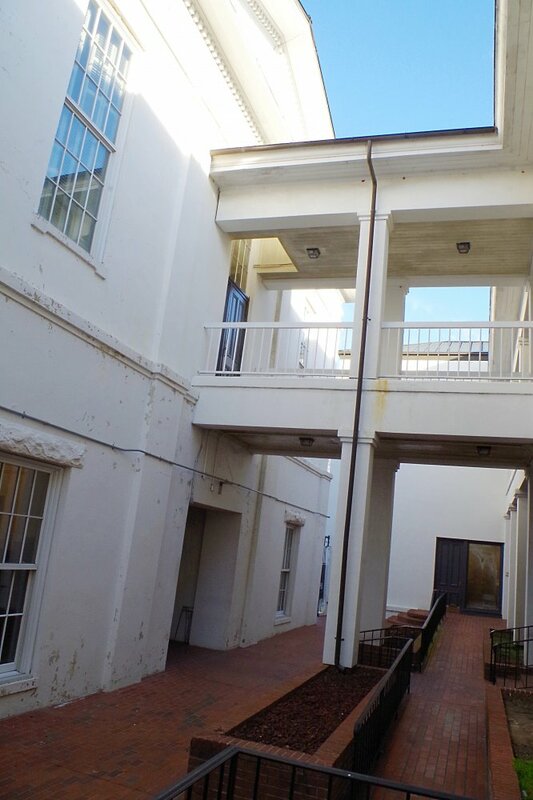 The contractor was D S McClanahan. 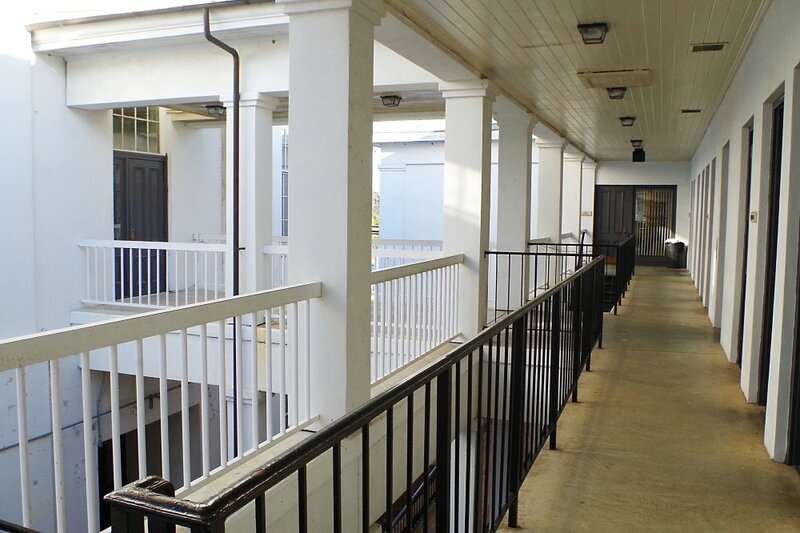 The building was renovated and enlarged in 1981 to 1982. 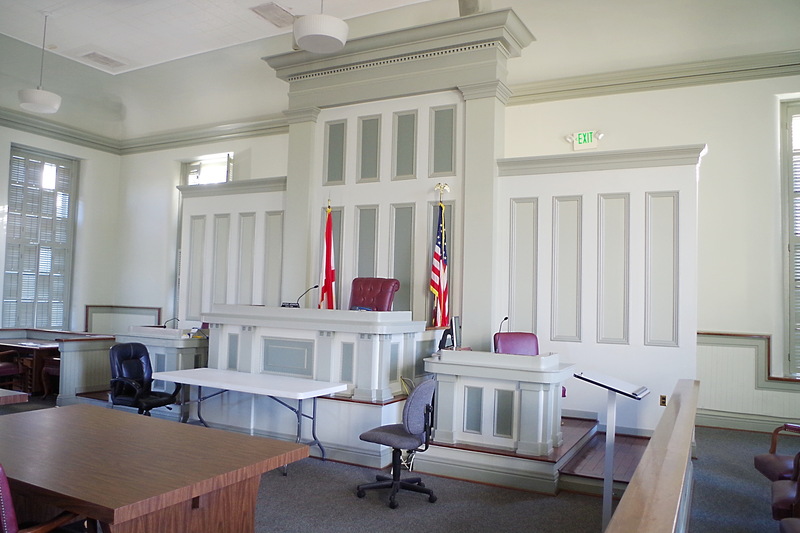 The architect was Bill Wible of Parsons, Wible, Brummal, Alkire Architects and Narrow Brown Parson and Associates. 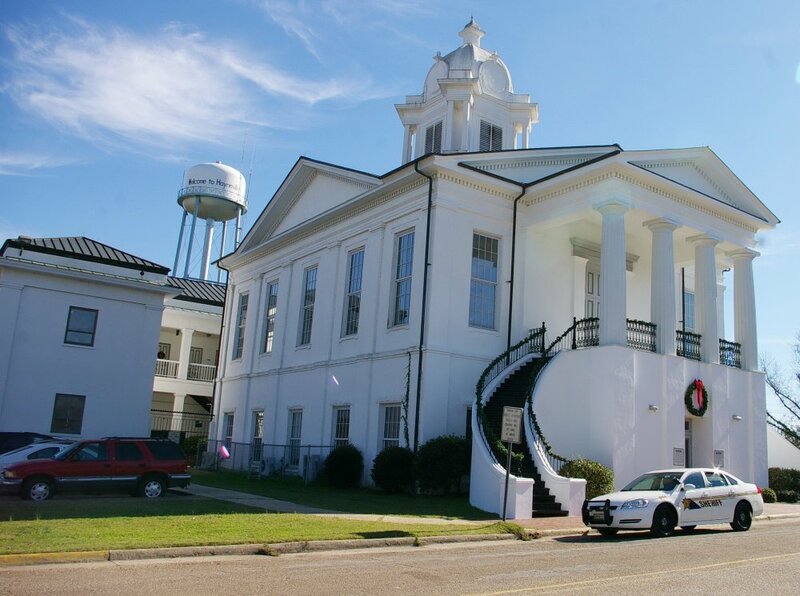 Note: The first court met at Fisher’s store on the west side of the town square and the first courthouse was built in 1832 on the town square at a cost of $500. 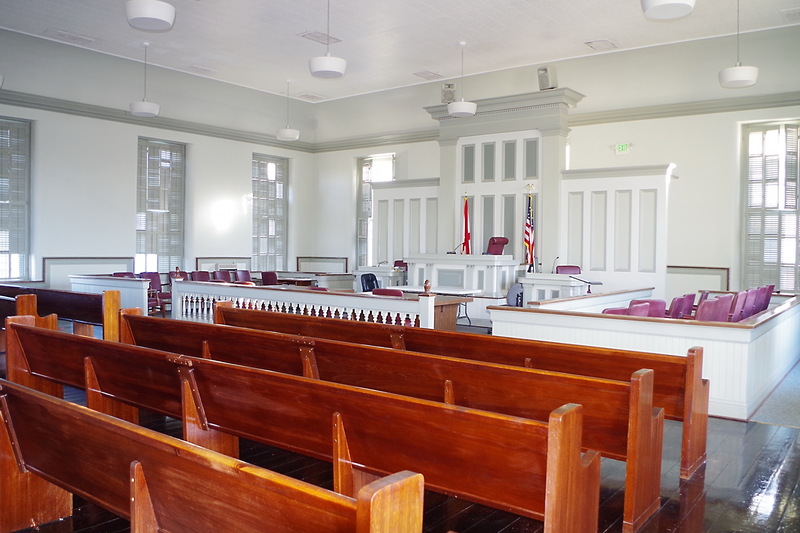 The courthouse was declared unsafe in 1854 and court met again at the W & J Fisher General Store. 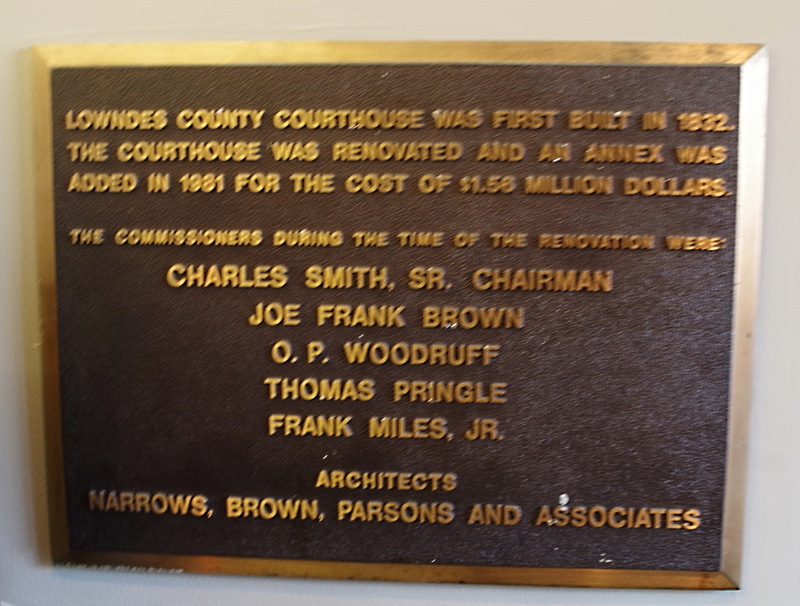 The cost of construction of the present courthouse was $30,000 and the 1982 renovation was $1,500,000. 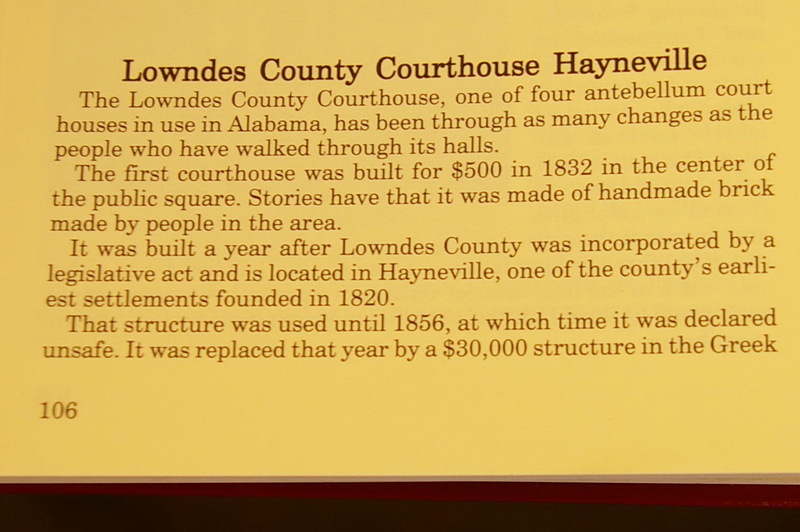 Note: Lowndes County was settled by settlers from South Carolina. 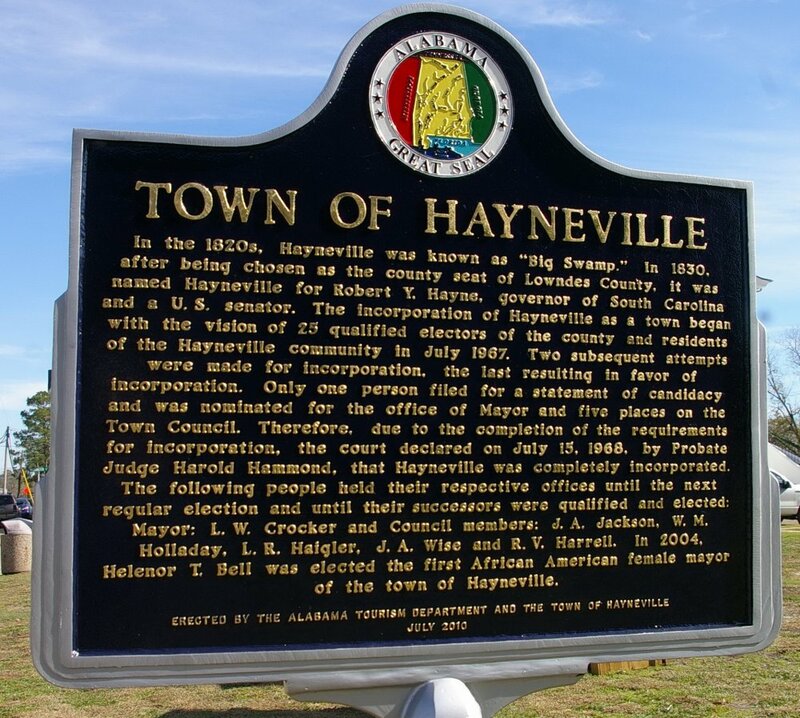 Robert Young Hayne of South Carolina in 1831 along with other South Carolinians purchased a large portion of land within the county. 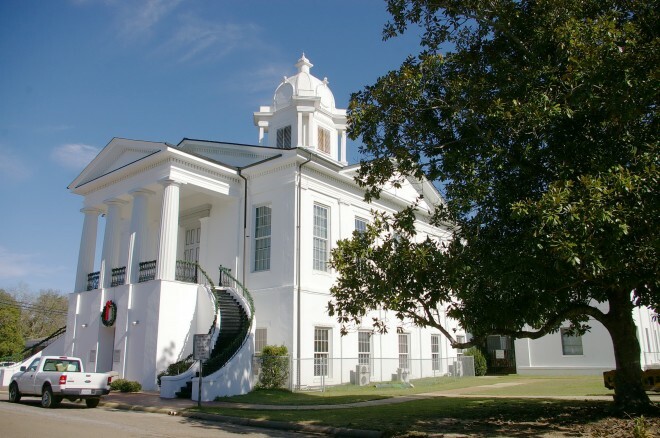 As the present courthouse resembles the courthouses in South Carolina, the plans of Robert Mills were probably used and construction was probably undertaken using slave labor. 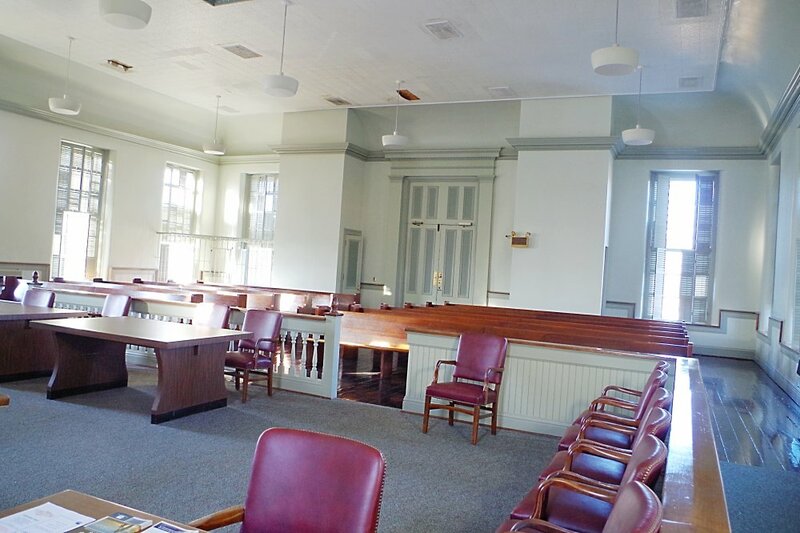 See: The architect, Robert Mills of Charleston, designed courthouses in Edgefield County, Fairfield County, Georgetown County, Horry County, Lancaster County and Marion County. 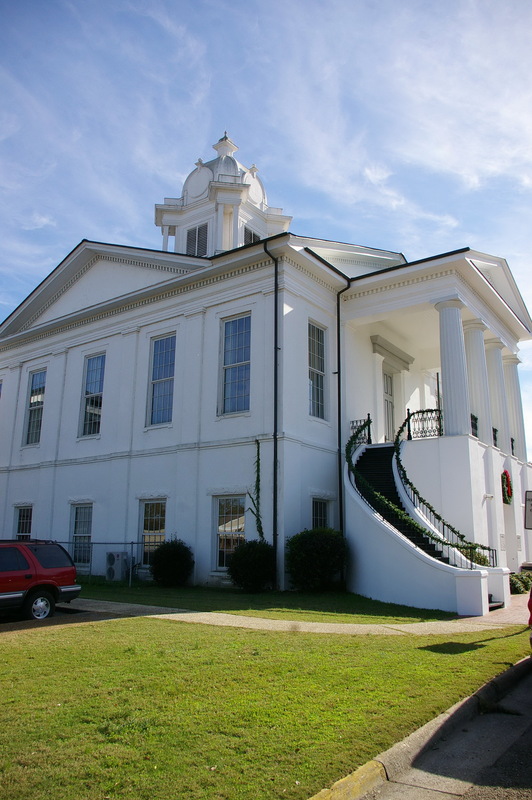 See: Other antebellum courthouses in Alabama are located in Coosa County, Perry County and Saint Clair County.